Meaty looking retro American muscle car. 6.2-litre V8 sounds great. Coupe or convertible. Incredible value from £35,995. Left hand drive only. Handling isn't sharp. Manual gearbox is hard work in traffic. Automatic is pretty awful. Camaro convertible has a surprisingly small trunk. Too small for a couple's suitcases. Also the roof operation is very slow the tonneau cover fiddly to fit. People don't make cars like the Camaro anymore. Or so you'd think. At a time when everything is about efficiency and fuel economy it's reassuring to know that you can still buy a V8 powered American 'muscle car' that sounds just as good as it looks. The Camaro is a car that's full of character and with a look that's just the right side of retro, it will always attract attention. It certainly gives the image of Chevrolet in the UK a real shot in the arm. It's been a long time coming though. The Camaro has been on sale in the US since 2009 and it's taken two years to come to Europe with different rear light clusters the obvious change - they now have separate indicator lights instead of the US-spec brake lights which double as turn signals. However, it remains left-hand drive only. The big 6.2-litre engine that powers the Camaro is typically American with a big noise and a relaxed nature. Not that it's slow - it has 432PS and can accelerate from 0-62mph in just 4.0 seconds (half a second slower for the lower powered automatic) plus it's an engine that's happy to be revved all the way up to the red line, where it sounds even better. Unfortunately, the handling is pretty American too which means it's not great in corners. The steering is responsive, but it lacks sharpness on more demanding roads. However, that's not what the Camaro is about. It's a real feelgood car that always makes you smile when you get behind the wheel and is ideal for cruising around in. And then there's the price. The coupe with the standard manual gearbox is £34,995 which is incredible value given the power, style and standard equipment it offers. While it may not be perfect, the Camaro is an incredibly likeable car and there's pretty much nothing else out there with the same character. 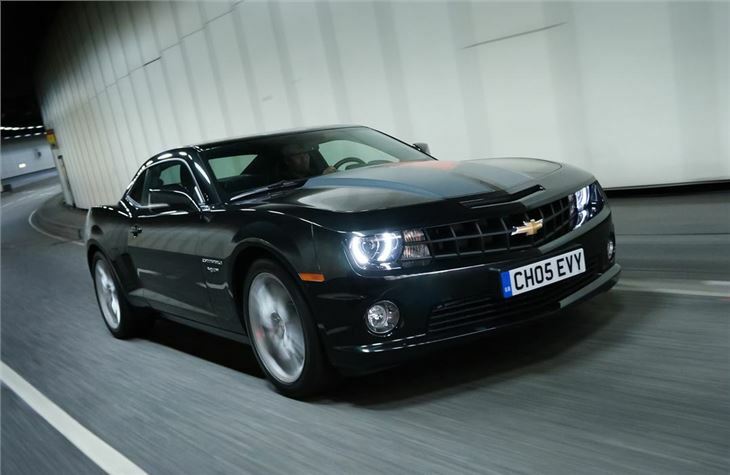 All UK versions of the Camaro will be the top specification model, with 20-inch alloy wheels, Brembo performance brakes, full leather upholstery with a six-way power adjustable driver’s seat, a Boston Acoustics nine speaker audio system, Bluetooth and rear parking sensors. The instrument dials have been calibrated for Europe too. Options will include a choice of premium paint colours, bonnet stripes, interior trim accents, a sunroof, polished alloy wheels and an automatic transmission which is a £1500 extra. 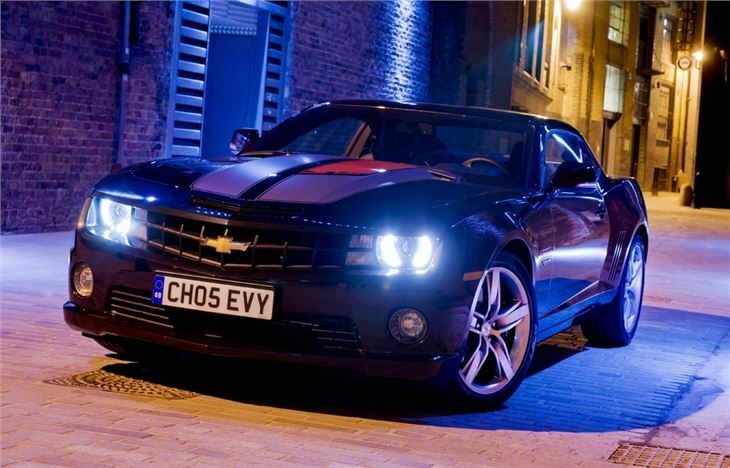 The Camaro comes to the UK in early 2012.